What does plastic injection in plastic mold means? Home » Basics » What does plastic injection in plastic mold means? Thermoplastic injection molding is to melt the plastic material and then inject it into the film cavity. Once the molten plastic enters the molds, it is shaped into a certain shape by the cold mold cavity. The resulting shape is often the final product, and no further processing is required before installation or use as a finished product. Many details, such as protrusions, ribs, threads can be molded in a one-step injection molding operation. Screw preplasticizers have the advantages of constant melt quality, high pressure and high speed, and precise injection volume control (using mechanical thrusters at both ends of the piston stroke). These strengths are needed for transparent, thin-walled products and high production rates. Disadvantages include uneven residence time (resulting in material degradation), high equipment costs and maintenance cost. The most commonly used reciprocating screw injection device does not require a plunger to melt and inject the plastic. Extrusion blow molding is a method of making hollow thermoplastic articles. Widely-manufactured blow molding objects include bottles, barrels, cans, boxes, and containers for all foods, beverages, cosmetics, pharmaceuticals, and daily necessities. Large blow molded containers are commonly used in the packaging of chemical products, lubricants, and bulk materials. Other blow moldings include balls, bellows, fuel tanks, car shock absorbents, seat backs, enter brackets, and armrests and headrest coverings are all blow molded. For machinery and furniture manufacturing, blow-molded parts have shells, door frames, shelves, pots, or boxes that have an open face. The most common blow-molded plastic raw material is high-density polyethylene, and most milk is usually made of this polymer. Other polyclinic are also often processed by blow molding. Depending on the application, styrene polymers, polyvinyl chloride, polyesters, polyurethanes, poly carbonates and other thermoplastics can also be used for blow molding. Recently, engineering plastics have been widely accepted in the automotive industry. Material selection is based on mechanical strength, weather resistance, electrical properties, optical properties, and other properties. 3/4 blow moldings are made by extrusion blow molding. Extrusion processes force the material through a hole or die to make a product. 4.Open the mold, write down the blown parts. 5.Trim the flash to get the finished product. Polymer mixing is defined as a process of upgrading a polymer or polymer system by melt mixing. The compounding process ranges from the addition of a single additive to a wide variety of additive treatments, polymer alloys, and reactive mixing. It is estimated that one-third of the United States' production of polymers will be mixed. Blends can be tailored to the performance requirements of the final application. Blended products have miscellaneous production of polymers will be mixed. Blends can be tailored to the performance requirements of the final application. 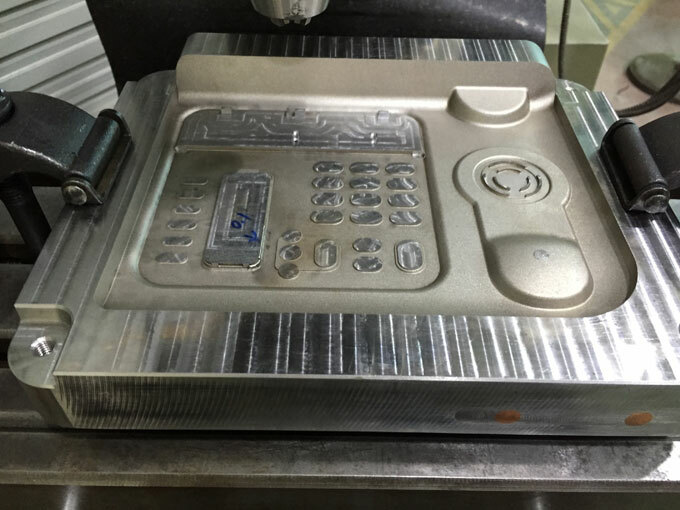 Blended products have miscellaneous properties such as high gloss and excellent impact strength, or precision mold ability and good stiffness. Distributed mixing materials can be evenly distributed without the need for high shear stress in remarriage ingredients. This kind of mixture is called extended mixing or laminar mixing. Dispersive mixing is also referred to as intensive mixing, where high shear stress is applied to break up coherent solids. For example, when the additive package is broken, the actual particle size becomes smaller. Mixing operations often require two types of mixing in one process. Rotational molding also known as rot molding is a process used to make hollow seamless products of various sizes and shapes. Traditionally, it has been mainly applied to thermoplastic materials. In recent years, rot molding of thermosetting materials such as cross-linked polyethylene has also developed rapidly. Since rot molding does not require higher injection pressures, higher shear rates or accurate compound meters. As a result, molding and machinery are relatively inexpensive and have a long service life. Its main advantages are: high performance or price of the machine, no need for post-assembly for molding of complex parts, multiple products and multiple colors can be molded at the same time, mold cost is low, color and materials are easily changed, edge material loss is less. The basic process is simple which place the powdered or liquid polymer in a mold, heat it while rotating around two vertical axes, and then cool. At the beginning of the heating phase, if a powdered material is used, a porous layer is formed on the surface of the mold and then gradually melted as the cycle progresses to form a homogeneous layer of uniform thickness. If a liquid material is used, it is first flowed and coated. The mold surface completely stops flowing when it reaches the gel point. The mold is then transferred to the cooling area, cooled by forced air or water spray, and then place in the work area where the mold is opened and the finished part is removed, followed by the next cycle. Cast nylon-6 has higher strength, abrasion resistance, scratch resistance and resilience. Casting reactions are mostly carried out at atmospheric pressure or under very low pressure, so the nylon produced by casting has a distinct advantage over the nylon produced by extrusion or molding. Compared to nylon extruded nylon, cast nylon has higher crystallization and molecular weight, better dimensional stability, easier mach inability, higher modulus and heat distortion temperature. Because the cast nylon is not limited in size and shape, it has greater flexibility. With inexpensive tools, it is possible to produce cast nylon with a simple shape and a short production cycle and complex parts need to be produced in complex tools. Don't use high-priced casting machines in social clubs. The lac-tam monomer undergoes an anionic polymerization in a mold and is finally converted into a polymer. Therefore, the anhydrous acid catalyzed process has a poor reaction and low conversion efficiency. Therefore, many people use a catalytic reaction to obtain better results. Since the 1950s, co-catalysts have been developed. In the late 1960s, the development of more efficient production machinery accelerated the commercialization of nylon castings.